Oh lordy, y’all. So Jersey Shore‘s second season premiered last night, and much like the above image from Videogum of Snooki and Sammi Sweetheart listening intently to their conchs, it was a strange thing of booze-fueled, sh*t-talking, train-wreck-of-zen beauty, and how could it be anything but? Let’s discuss a few of my favorite moments, shall we? Truer feelings of utter disbelief, total confusion, and SENSE OF IMPENDING RIDICUDRAMA have never been FACE’d. 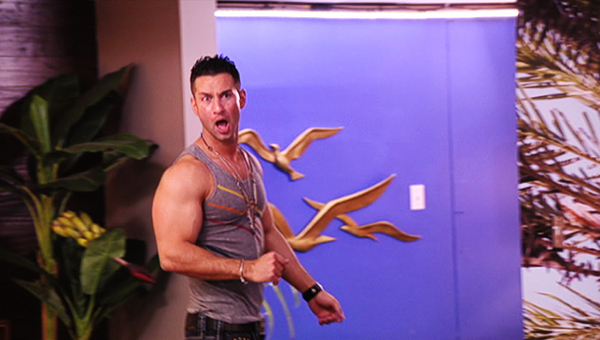 Well played, The Situation. Very well played, indeed.